Chin and lip piercing of 316L steel - closure shaped as spike, silver hue, glossy surface. Chin and lip piercing is made of stainless steel. Decorative part consits of simple spike. 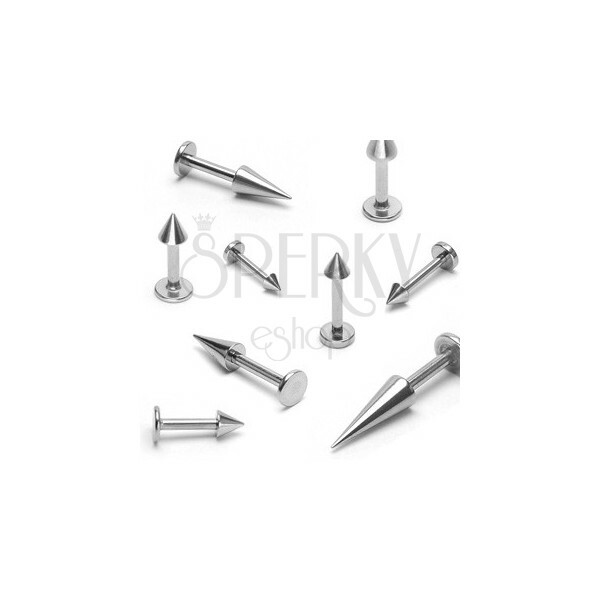 Piercing is made of silver colour and has glossy and smooth surface.